The Foundation was extremely proud to host noted NASA Mission Control ICON, Mr. Gene Kranz. Mr. Kranz was awarded the Distinguished ROTC Alumni Award by the Jeanne M. Holm Center for Officer Accessions and Citizen Development. The AU Foundation was proud to host a luncheon at the beautiful Wynlakes Country Club in honor of Mr. Kranz. Over 250 persons attended the luncheon and were mesmerized by an outstanding presentation on the recovery of Apollo 13 following an explosion aboard the spacecraft. The Foundation is proud to honor Medal of Honor recipient, CMSGT Richard L. Etchberger. The Foundation established and sponsors the Chief Master Sergeant Richard L. Etchberger Team Award at the AF Senior Non-Commissioned Officers School. 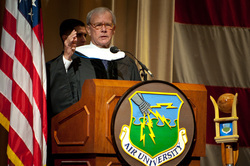 The Foundation was proud to support the presentation of an Honorary Doctorate Degree to noted journalist and author, Mr. Tom Brokaw. The ceremony was officiated by President and Commander of Air University, Lt Gen David Fadok, and the then Vice President of Academic Affairs, Dr. Bruce Murphy. The ceremony was attended by hundreds of Air University students and faculty as well as the Air University Board of Visitors. The foundation sponsored a luncheon in honor of Mr. Brokaw at the Renaissance Hotel attended by 500 guests following the ceremony. 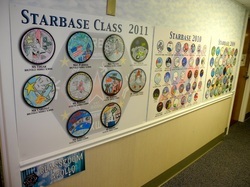 The Foundation played a key role in saving STARBASE MAXWELL, a STEM education program formerly funded by the Department of Defense. This program is providing critical education to 5th graders from throughout the River Region in the areas of Science, Technology, Engineering and Mathematics. The Foundation was proud to play a role in honoring the seventh Medal of Honor recipient, CMSgt Richard L. Etchberger. 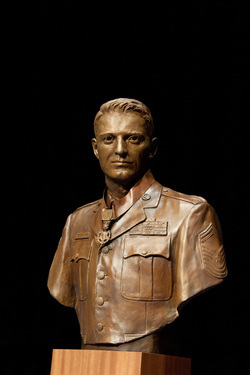 The Foundation played a key role in establishing the CMSgt Richard L. Etchberger Team Award at the Senior NCO Academy, the commissioning of a bronze bust in his honor, and a role in the naming of a street in his honor at Keesler AFB, Mississippi. 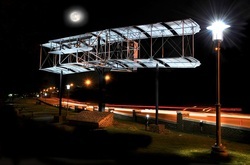 The Foundation played a key role in the dedication of a park in downtown Montgomery honoring the Wright Brothers who established the first flying school here in 1903. The Foundation was proud to sponsor the ceremony dedicating the auditorium Personal Officer School at the Ira E. Eaker Center for Professional Development honoring retired General Billy J. Boles. 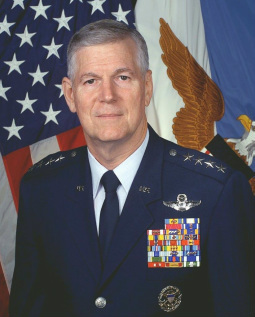 Gen Bowles served as the former Commander of Air Education and Training Command, and was the deputy Chief of Staff for Personnel, Headquarters U.S. Air Force, Washington, D.C. 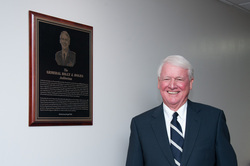 The Foundation was extremely proud to sponsor the dedication of of the classroom at the Comptroller School at the Ira E. Eaker Center for Professional Development in honor of the school's former Commandant. 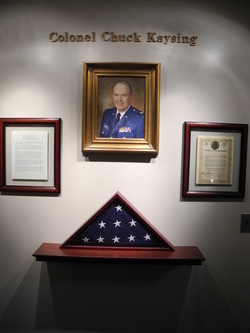 Col. Kaysing also served as the President of the Air University Foundation for a number of years.